Great artists are defined by their masterpieces—works that not only showcase their finest talents but also express the essence of who they are and how they view the world. 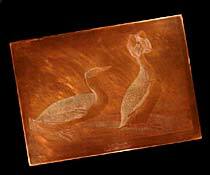 While these creative endeavors are products of their times, they also leave a lasting cultural impression that makes them historic as well as artistic treasures. 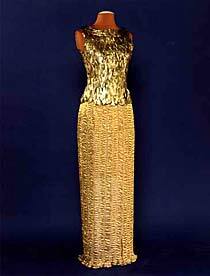 This gilded evening dress expresses the flair for elegance, drama, and luxury that has made Oscar de la Renta one of the most acclaimed American fashion designers. Designed for the French couture firm Pierre Balmain, the ensemble features a silk top adorned with overlapping rows of gold-painted feathers and a skirt of pleated gold lamé. Alluding to its divine qualities, de la Renta named his creation after Minerva, the Roman goddess of wisdom. 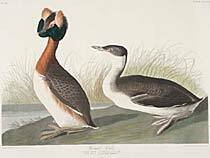 Paired with the copper plate from which it was printed, this large, exquisitely detailed engraving is from John J. Audubon’s ornithological masterpiece, Birds of America. Through this work, a total of 435 prints published over eleven years, Audubon introduced new ways of looking at wildlife. Instead of depicting birds as scientific specimens, he painted them as living creatures, life-size, in realistic settings and poses. Audubon’s images contributed to later public interest in wildlife conservation. 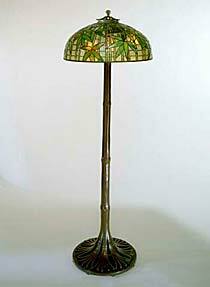 In designing his celebrated stained-glass pieces, Louis Comfort Tiffany often took inspiration from nature, and this bamboo-style lamp is a magnificent example. From the graceful bronze base molded like a stalk to the seedpod finial on top, the lamp conveys its organic motif through form, color, and texture. Artisans in Tiffany’s studio carefully selected each piece of greenish-yellow glass to achieve the effect of sun-dappled leaves on the illuminated shade. Handcrafted by Antonio Stradivari in Cremona, Italy, this instrument represents an artistic standard of perfection recognized by classical musicians in the United States and around the world. Of the 620 Stradivari instruments that survive, this is one of only eleven that are decorated. The inlay along the sides—an ornate motif of flowers, vines, and animals—is suggestive of eternal life and the promise of paradise. 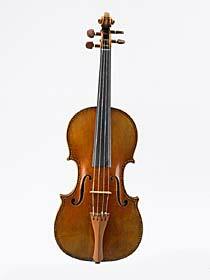 The brilliant tone of the Greffuhle (named for a French nobleman who once owned it) can still be heard today in concerts by the Smithsonian’s Axelrod String Quartet and the Smithsonian Chamber Players. 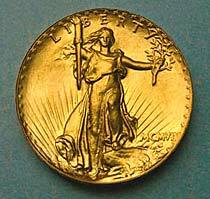 In 1905, President Theodore Roosevelt enlisted sculptor Augustus Saint-Gaudens to beautify the nation’s coinage. His $20 piece, or “double eagle,” is one of the most stunning and valuable U.S. coins ever made. Featuring a majestic figure of Liberty striding out of the dawn, it transcends its monetary function as a bold and imaginative work of art. Fewer than two dozen of these extraordinary coins were minted. The ultra-high-relief design, inspired by ancient Greek coins, proved impractical to produce, so it was flattened for mass circulation.